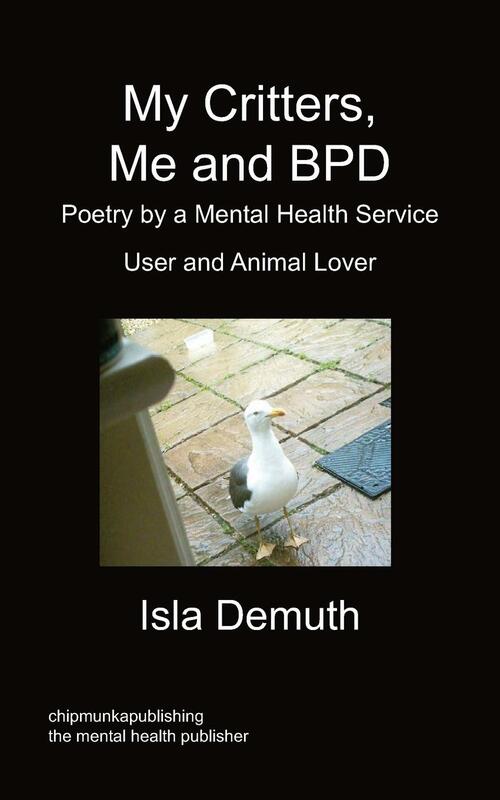 Isla’s book is in essence a poetry book about the things that matter in her life, e.g. 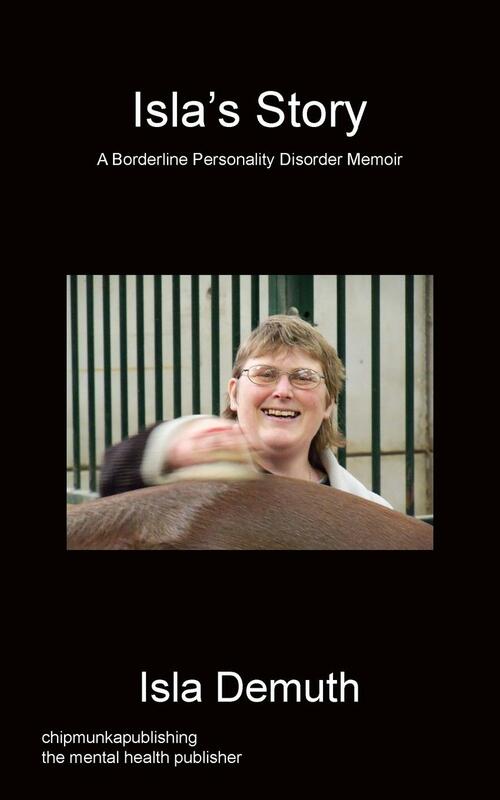 animals and the fight with her mental illness. 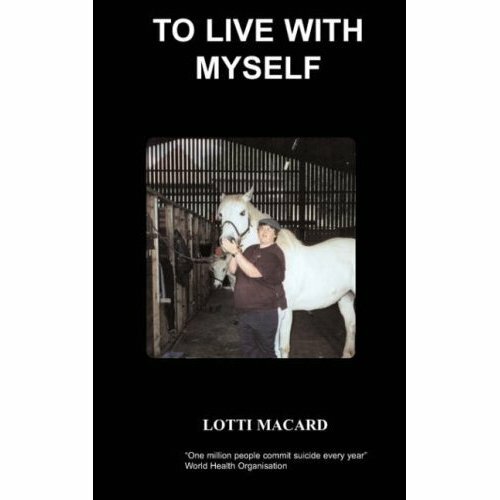 At the end of the book 3 short stories of the author’s experience with her animals are included. The speciality is the story of a seagull’s experience with Isla. Isla Demuth was born in Germany, 1970. At the age of 5 years old, she and her younger brother were taken in to care. The authorities took this step due to the mental state of Isla’s mother, who was also very abusive. In Burg Seinsfeld Isla and her brother stayed until their father’s suicide in 1980. 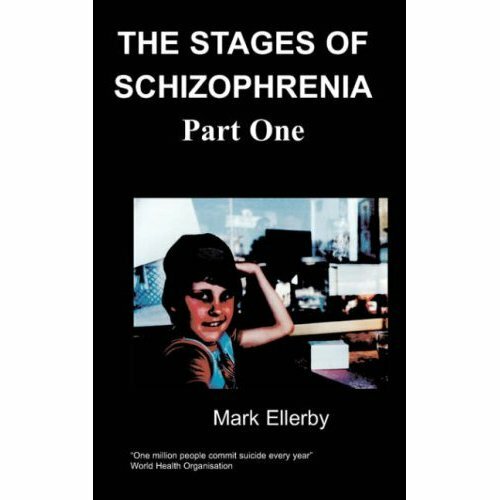 Two years at home with her mother followed, which resulted in lots of physical and mental abuse for the children. The authorities stepped in yet again and both children were taken in to care. Isla stayed in care until the age of 20. She then lived in a family home and did a 3 year apprenticeship in merchandise. The apprenticeship went well despite frequently running away from her orderly life, and living rough for short periods of time. This was a habit acquired in the care-homes and did not stop in adulthood. At the age of 23, Isla ran away again, and leaving Germany behind came to Britain. Here she found for a while a home with a religious community. A suicide attempt, of which there have been many since her father’s death, made life at the community impossible. Soon Isla became even more unwell and turned to arson. Prison in Broadmoor followed. In 2003 Isla was deemed fit for a medium secure setting where she stayed until 2007. 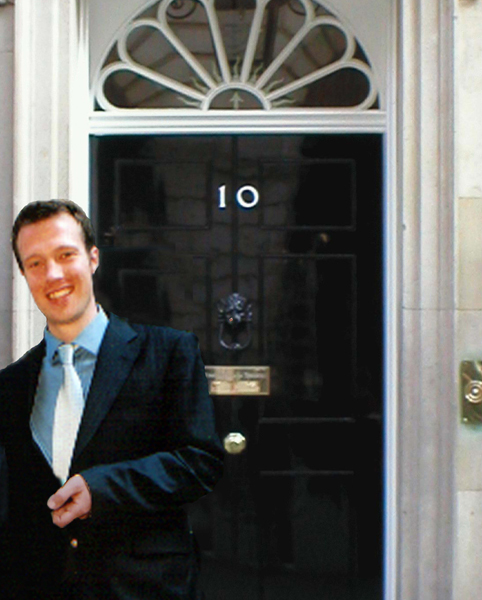 A year in the community, followed by a rapid mental decline in a Gloucester care home. 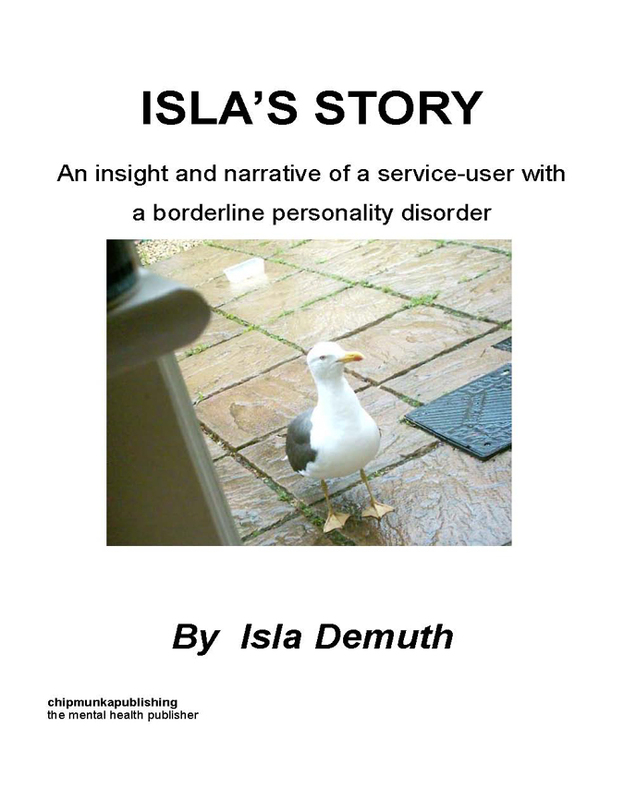 Isla is at present back in hospital where she recovers from a psychosis and is treated for her Borderline Personality Disorder. I had gone to Koehler’s stable now for a little while. Gabi, a girl from the children’s-home, introduced me to the facilities. It was nice to get away from the home, where so much bitching amongst the eight teenage girls prevailed. The yard consisted of about twenty horses. Some were tattersall horses, others for livery, meaning they had private owners. Gabi and spend a lot of time mucking out and grooming all the horses. They certainly seemed to appreciate our help, always praising our input. And it definitely was nice to be treated as one of them, even though we had only little money and could not afford the fee for riding-lessons. Gabi and I felt quite privileged to have a proper hobby. But something was missing… It was one thing to get praised for the hard work we did, but slowly a bit of jealousy crept into our hearts. Enviously we watched children and adults alike sitting high to horse. Could they not offer us such a kind of thank you? Only now and then would have been fine by us, as we understood, it was after all a business. But did they not save a lot of money for grooms through us. Gabi had an idea. I was doubtful and actually quite scared. Yet, the plan sounded good; we’d go up to the stables at night, when the staff of the children’s- home are asleep.